Episode 15 – Nate Kenyon, The Order, and the end is HERE! 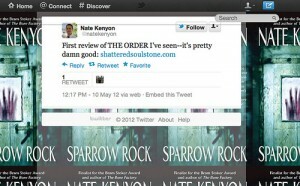 We are excited to bring you an interview that we did with Nate Kenyon. His book, Diablo III: The Order will be released on, you guessed it, May 15, 2012. Lots of epic fifteens in this episode! We had a great time talking with Nate, and we think you will really enjoy listening to this interview. 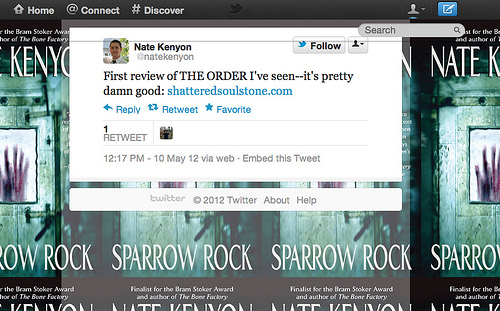 You can find out more about Nate Kenyon, and the other books he has written, on his website. Medros joins us in this episode, to help keep us on track. Some of us may or may not have been drinking… um, mana potions, yeah… during parts of this episode. * We read, and respond to, listener email from Chronic Fatigue and Chaos. There is also one from Jen (because it amused Nevik to put it in the show). We also read and respond to an amazing comment that Chad wrote on our blog. Thanks, everyone! 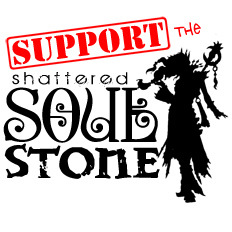 Send us your Diablo related thoughts and experiences right to our inbox at show@shatteredsoulstone.com. * Jen shares what happened at the end of the Diablo III beta. * Chaos asked us: “Are you a runner or a clearer? * Breja shares an amusing “May 15th” story from his wife. * Jen wrote a review of Diablo III: The Order. Nate Kenyon said “it’s pretty damn good”. * Things to know about the Real Money Auction House. * Exciting stuff is coming in the Diablo III Character Profiles! * Diablo: Wrath, animated by Peter Chung. * Need advice about what to do before you start play Diablo: III? Blizzard has a Launch Day Preparation Guide for you. * What class will you play? This article has what Jay Wilson, Clayton Vaught, Wyatt Cheng, Jill Harrington, and Matt Panepinto will be playing when the game launches. * There are 6 Blue Posts that you should read before Diablo III is released. * Did you get invited to the Diablo III beta? Then you are One of the Chosen. Enjoy your Feat of Strength. * The Diableards are about to disappear! Check out this wonderful gallery of some really interesting ones. Reading the comments makes this even more fun! * Leeroy Jenkins. (Warning to those who care, there are swear words said in this video).